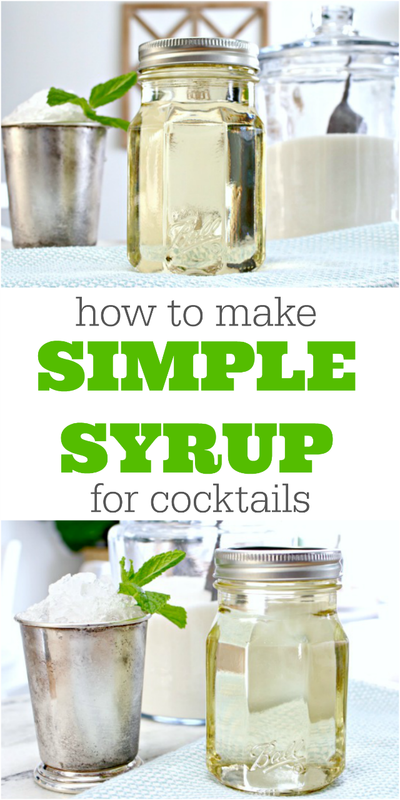 Simple syrup is an ingredient used in many cocktails like Mint Juleps, Daiquiris, Hurricanes, Mojitos and more! This tutorial is so easy and will show you How to Make Simple Syrup for cocktail recipes, coffee drinks and even homemade sodas! This post may contain affiliate links which means if you make a purchase from one of these links, I will receive a small commission. 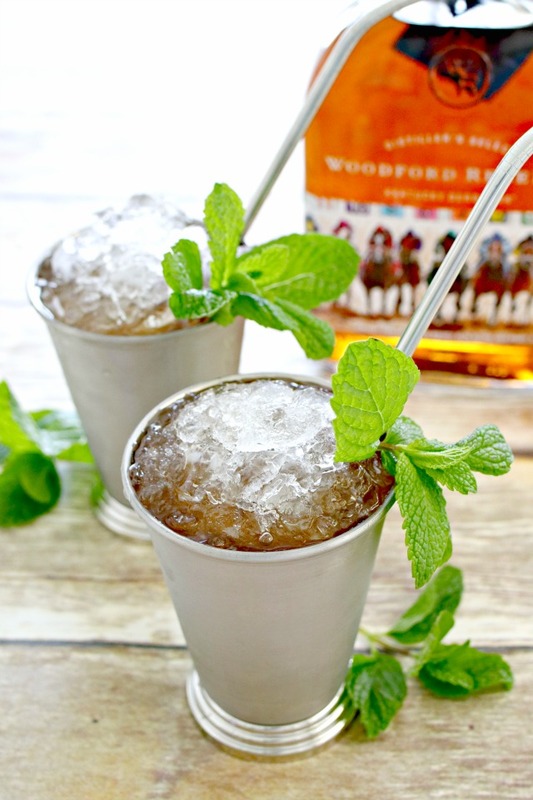 Here in Kentucky, we are gearing up for the Kentucky Derby in May, which means we will be making the official drink of the Derby, the Mint Julep! Mint Juleps are simple to make with bourbon, simple syrup and mint leaves, so I thought it would be a good idea to share how I make simple syrup to keep on hand for homemade cocktails. 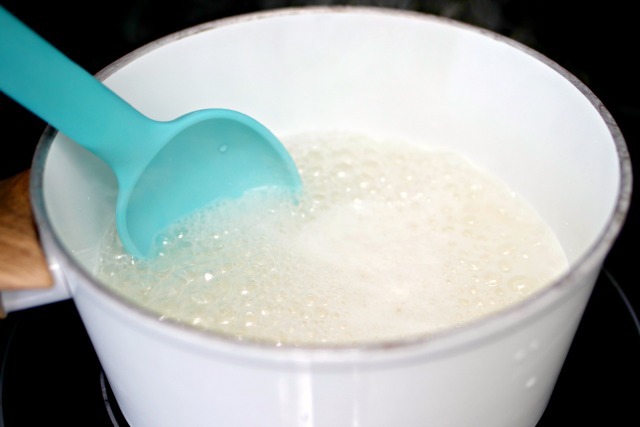 I’ve also used this simple syrup to sweeten coffee drinks and make my own lattes. It’s so “simple” to make with two ingredients and can be flavored as well! 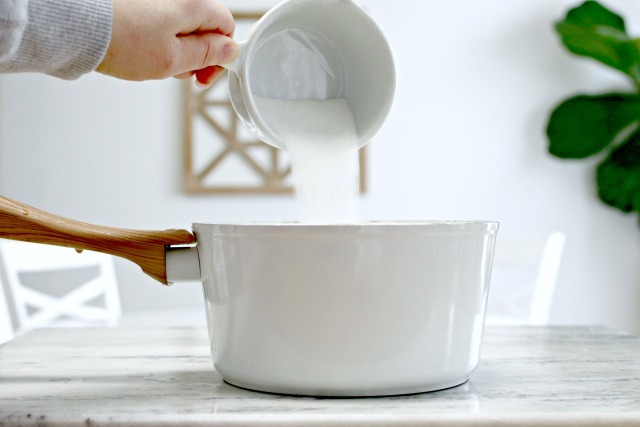 Step 1: Pour two cups of sugar into a pot. Step 2: Add one cup of water. Step 4: Bring to a boil. Step 5: Turn heat to low and simmer for 10 -15 minutes. Step 6: Allow the syrup to cool and pour into an airtight container or jar. I prefer using Ball jars for storing mine. 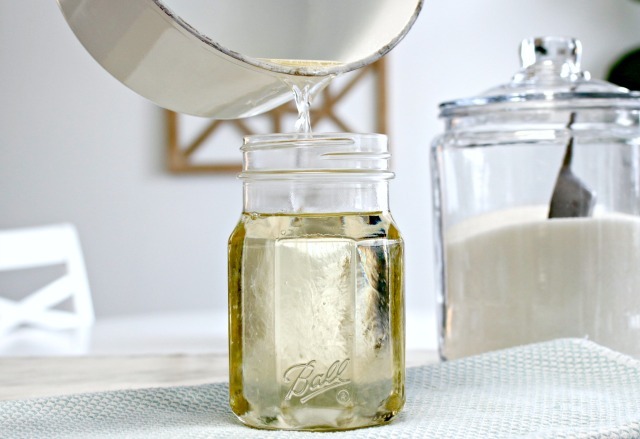 This Homemade Simple Syrup can be stored in the refrigerator for up to 6 months. 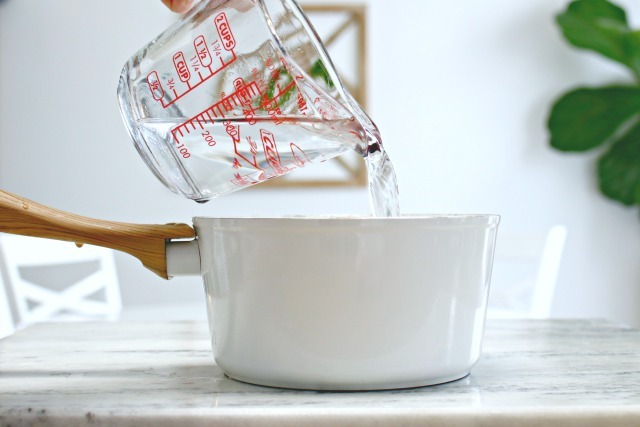 To prolong the shelf life of your Homemade Simple Syrup, add 1 tablespoon of vodka and stir well. 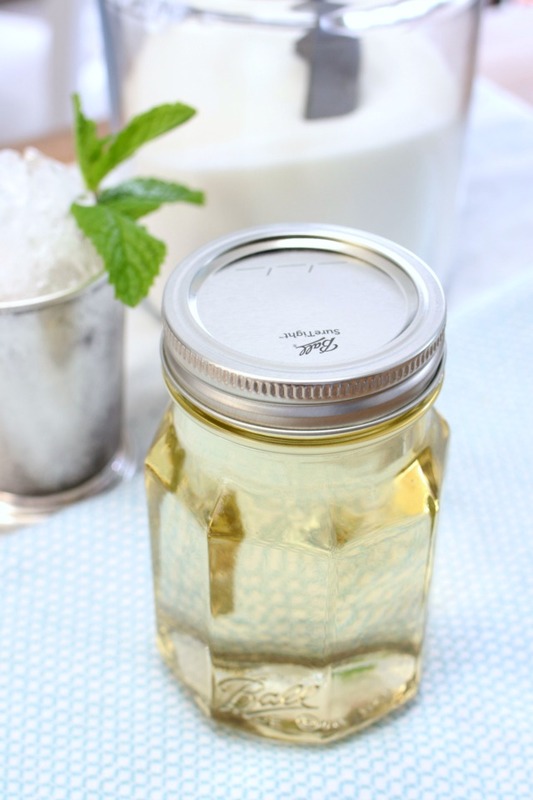 This homemade simple syrup makes a great gift for cocktail lovers…just imagine tucking a beautiful jar into a basket along with fresh ingredients like mint and some bourbon to make a festive Kentucky Derby Gift Basket! Or get creative and put together a cocktail lover’s basket with this simple syrup, a cocktail shaker, a muddler, a jigger and some cute cocktail glasses! This is a gift even the men in your life would enjoy! Use this delicious Simple Syrup in one of my favorite cocktails, the official drink of the Kentucky Derby, the Mint Julep! 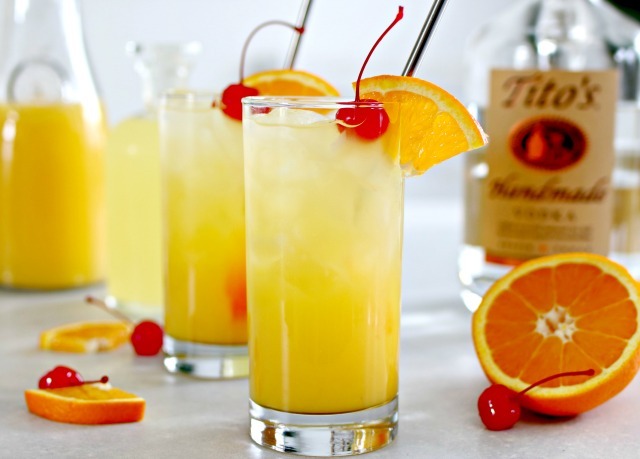 Or try another favorite cocktail of mine, the official drink of the Preakness, the Black-Eyed Susan! Do you have flavored syrup recipes for hot coffee or hot or iced tea like cinnamon or orange or peppermint?